Author: Evelyn Fogwe Chibaka. With a preface by: Roland Kießling, Beban Sammy Chumbow. Series edited by: Wilhelm J.G. Möhlig, Bernd Heine. 22 pp. Roman, 287 pp. One of the most formidable problems of studies of linguistic variation in a multilingual setting has been the intractable problem of determining the difference between a dialect and a language, especially when faced with a multiplicity of genetically related speech forms. All these also are not universally acclaimed criteria for language and dialect dichotomy; bearing in mind that intelligibility between languages can be asymmetric. That is, a situation where speakers of language A understand more of language B than speakers of language B understand of language A. For example a Pinyin speaker would understand the Mankon dialect cluster (MDC) language better than a Mankon dialect cluster language speaker would understand the Pinyin language (both being languages of the Ngemba Language Group cluster of the Wide Grassfields Bantu family). Mankon, Akum and Ala’atening are Wide Grassfields Bantu speech varieties that are spoken in Bamenda, Mezam Division, in the North West Region of Cameroon. These three speech forms have been considered by different researchers as dialects of the same language which was called Mankon and Ngemba (Ethnologue 2013) respectively. 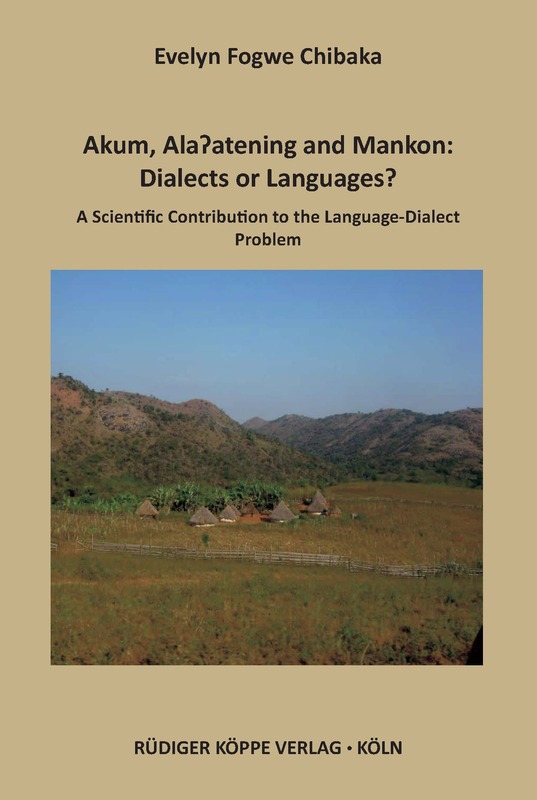 ALCAM (1983), Seguin & Domche-Teko (1989) and Sadembouo & Hasselbring (1991) grouped Mankon and Akum as dialects of the Mankon language, while Ala’atening was considered as a dialect of the Pinyin language.